Some of us may know him as Leeto Maputla from the popular SABC 1 drama Skeem Saam. Others may know him for his impressive soccer skills. 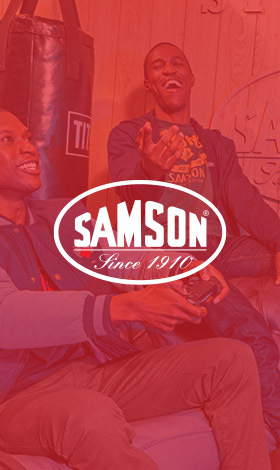 We know him as our Samson ambassador, Eric Macheru. Hailing from Polokwane, Eric rose to fame after winning the SABC1 reality competition Soccer Kings in 2005, giving him the opportunity to train with international soccer giants Tottenham Hotspurs and earning a one-year contract with Highlands Cape Town. Eric has always known what he wanted to do in life. After finishing school and in the midst of his soccer playing days, he enrolled to study film at AFDA. His hobbies, which include reading biographies, steered him to the acting life he is well known for today. He has had the opportunity to star in Mzansi Magic’s telenovela iNkaba but it is Skeem Saam that solidified him as the great actor he is today. Welcome to the Samson family Eric!